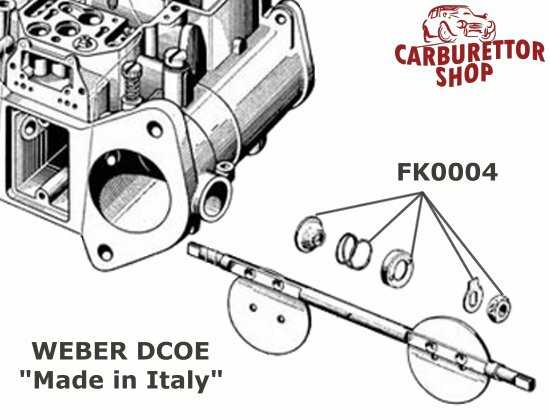 Throttle Shaft End - Service Kit for Italian Weber DCOE Carburetors. 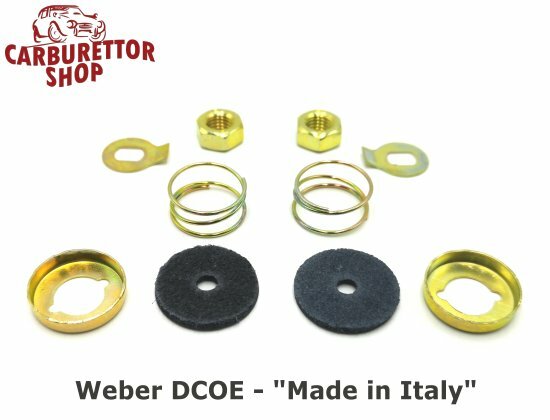 This is a complete throttle shaft end service kit for early Weber DCOE carburetors that were Made in Italy. Please note that this kit will NOT fit the later DCOE's and DCO/SP's that were Made in Spain! It consists of 5 items for each end of the throttle shaft so 1 kit will service 1 carburetor.